You've asked me to post when there are strong deals going on mirrorless products, so here's one such post. The highlight discount there is the A7R Mark II. While we all expect this camera to be replaced with a Mark III model in 2018, you still have to say this is an excellent all-around mirrorless camera with excellent performance, and at this new price, a bit of a bargain. I definitely can recommend that camera at that price. See my review. In the APS-C offerings, things aren't quite as exciting, as these are all modest deals on cameras that are a bit long-in-the-tooth (there's no deal on the A6500, the current top of the APS-C line for Sony). The two lens A6000 kit is probably the stand-out in terms of value in this list, as that camera may not have the gee-whiz focus performance of the higher models, but it still is a really highly competent APS-C camera, and that two lens kit takes you from 24mm to 330mm equivalent. All for a price equivalent to some 24mp DSLRs, but in a package that's far smaller. 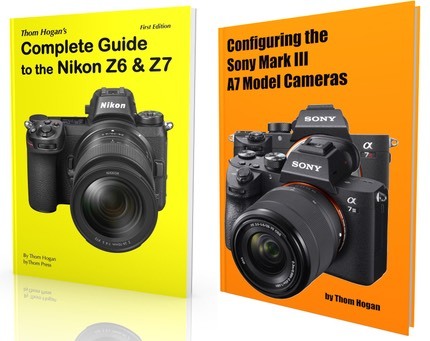 Still, the A7R Mark II deal is the best one in the bunch.